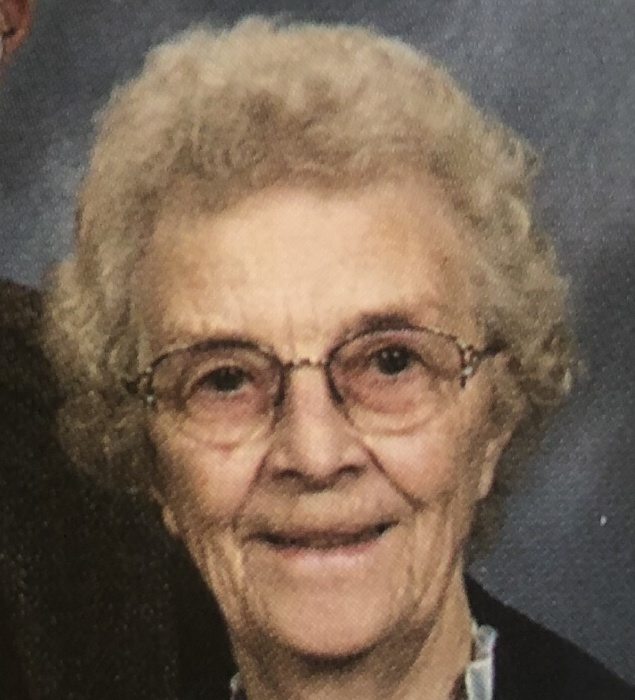 88, passed away on Sunday, January 27, 2019 at the James G. Johnston Nursing Home. She was predeceased by her husband Dorwin G. Bosket; parents Eugene and Nina Hall; sister in law Myrtle Hall. She was born on March 15, 1930 in Harpursville, NY. She moved to Bainbridge in 1944 and graduated from Bainbridge High School in 1948. Anita met Dorwin in MYF in the Bainbridge Methodist Church and they were married in 1949 and moved to Deposit. Anita was a faithful stay at home wife and mother taking care of the need of her family and married to her best friend and husband for 68 years. She loved to travel and was able to see many sights in the US, Canada, Switzerland, Holland, Belgium and many Caribbean Islands. Anita is survived by her daughter and son in law Linda and Gary Bundas; daughter and son in law Debra and Steve Parmeter; son Larry Bosket; grandchildren Robin (Travis) Riley, Bryan (Jessica) Rafael, Kyle Bundas, Kali Bundas, Kelly Parmeter; great granddaughters Olivia and Abigail Riley; brother Raymond Hall. Anita’s joy was her family and hope in the Lord. Her life verse was Eph. 2:8&9 “For it is by grace you have been saved through faith and this not from yourself, it is a gift of God, not of works lest anyone should boast. The family would like to thank the staff of the Star unit at Hilltop for their compassionate care over the years during a difficult time. A Funeral Service will be held on Saturday, at 2:00PM, at the Barber Memorial Home, Inc., 428 Main St, Johnson City. Burial will be in Glen Castle Cemetery in the spring. The family will receive friends on Saturday, from 1:00PM until the time of the service at the Barber Memorial Home.